Another one of the designs I went for this Christmas. I love penguins. I think they are cute, and so adorable. 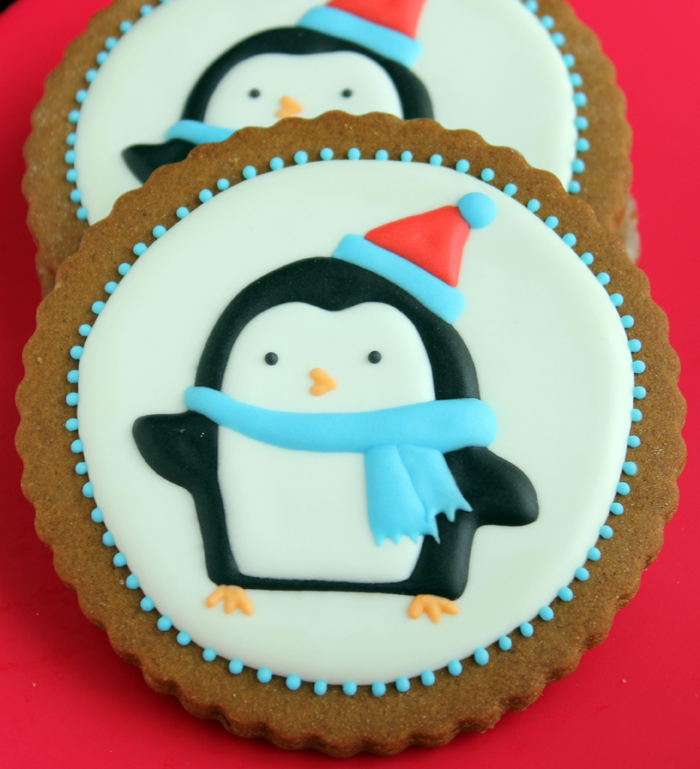 They fit in with the winter theme so nicely, and they look cute on cookies. 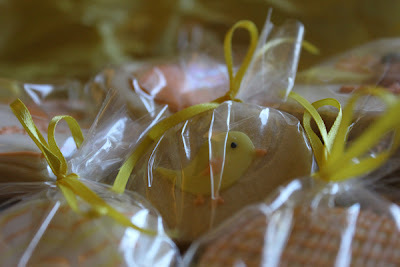 They were a great hit among my friends, for how cute they are. 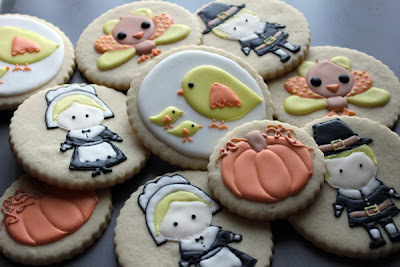 You can make the same ones too by following my picture tutorial! 1. 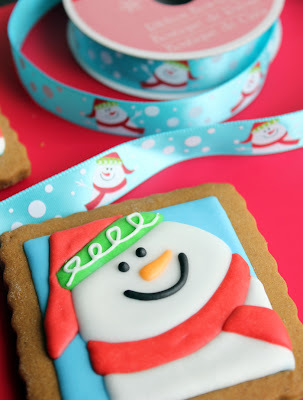 Using royal icing, pipe an outline around a round cookie, and flood it immediately with white icing. Let that dry for 24 hours. 2. 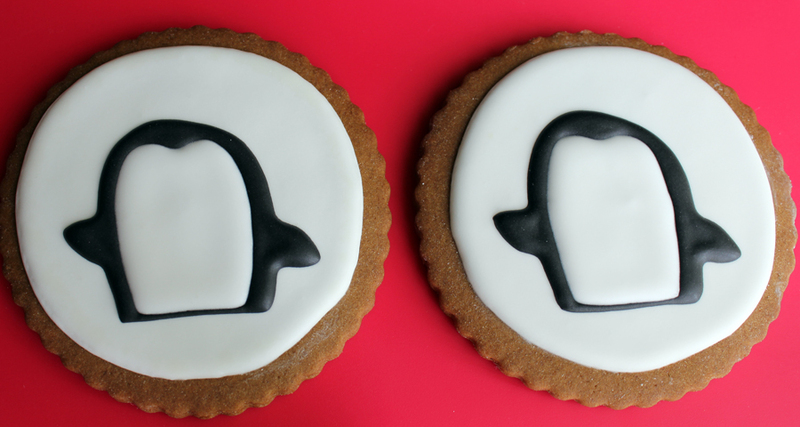 Pipe the shape of the penguin on the cookie. Let that dry for 24 hours, do not skip the drying part, otherwise the black will bleed into the white icing. Don't fill in the belly yet. 3. 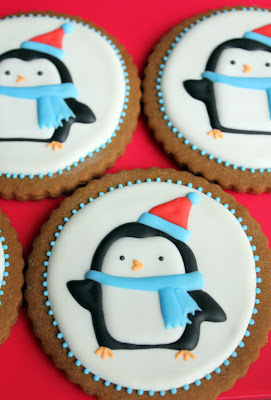 After drying for 24 hours or more, fill in the belly of the penguin. Let that dry for 16 hours. 4. Pipe a blue scarf across the penguin's body. Pipe the part of the hat. Let dry for 15 minutes. 5. Pipe the first dangling part of the scarf. Use a toothpick to drag out fringes for the scarf. Pipe the feet. Let dry 6 hours. 6. Pipe the second part of the dangling scarf. Eyes, mouth, and rest of the hat. 7. You're done. Let dry overnight before packaging. 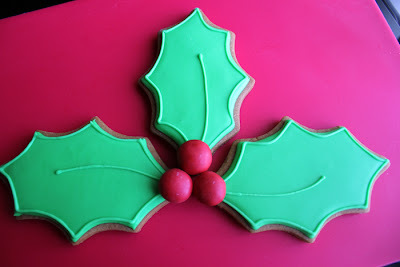 I know I just posted the holly leaves cookies. 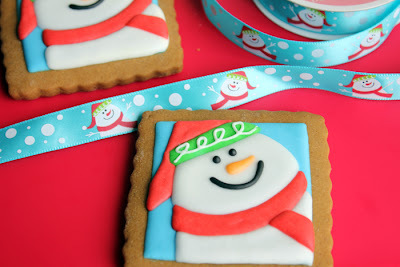 I just had to post some more Christmas themed cookies. 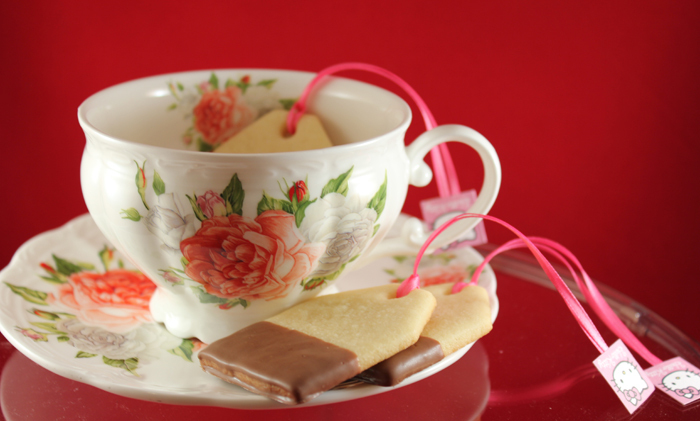 This one is an attempt at copying an image from a ribbon onto a cookie. I got the ribbon at a Michaels craft store. This is my first attempt at copying an image onto a cookie. 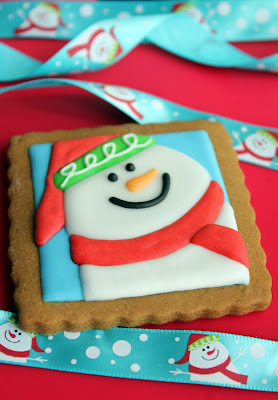 I'm sorry I don't have a picture tutorial for this cookie design. It actually slipped my mind. I wanted to practice my piping skills again. I want to perfect it. I even dream about what designs I can make and new techniques. It has become quite the addiction. I made these holly leaves cookies. They are the easiest ones to make out of the entire Christmas series I am making. Which I plan to post picture tutorials about soon. 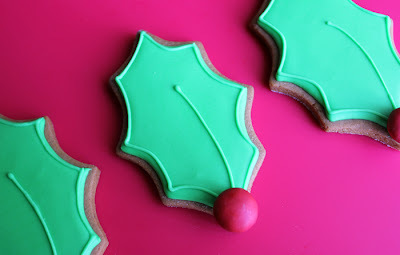 I think these holly leaves are easy enough to make without a picture tutorial, so I got them up and posted first. 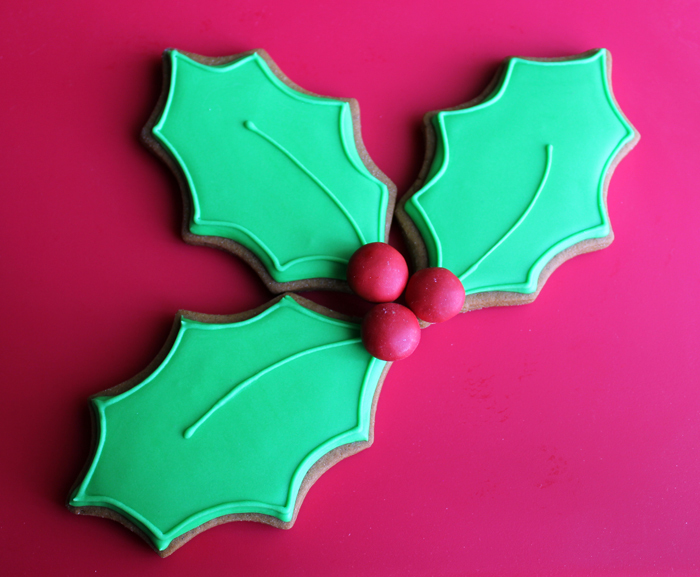 In fact, from the above picture, you can tell the holly leaves are separate cookies, but together, they form that image you think of a holly leaf. I used a #2 piping tip to outline and flood the cookie. After drying for 1 hour, I outlined the cookie with a #1 piping tip. 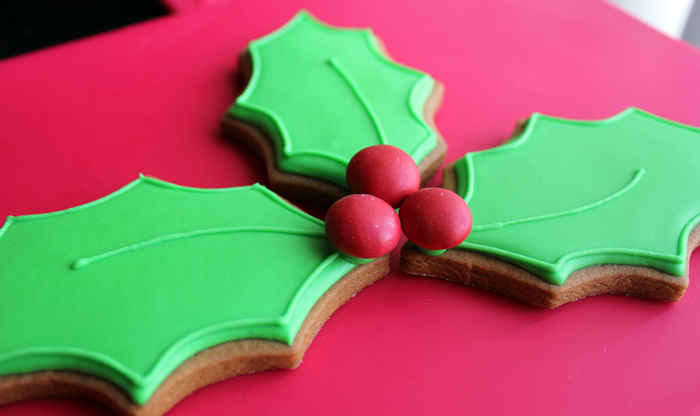 After another hour, I pipe a mountain of green icing at the tip of the holly leaf, and stuck a red m&m on the leaf. 1. Cream the butter and sugar in a mixer bowl until creamy. 2. Mix in spices. Combine. Then add eggs, one at a time. Then add molasses. 4. Refrigerate overnight, or at least 1 hour. 6. Cut out shapes. Use rolling bands for same width. 7. Bake for 12 to 14 minutes. My husband's favorite topping on ice cream is a mixture of chocolate brownie and the heath candy bar. I was grocery shopping one day, when I spotted a bag of heath bar bits. Basically, a heath bar...already smashed into tiny bits. I bought it without a second thought. My husband is sure to like anything I make with these. Then...a couple days later. 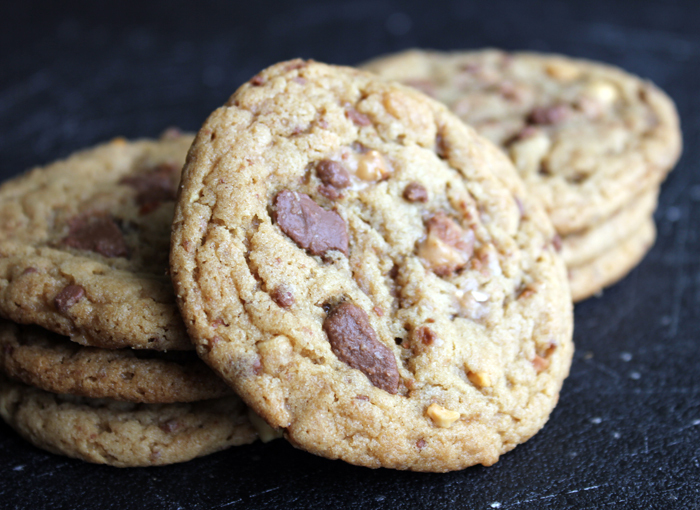 The heath peanut butter cookie came into our lives. My husband loves it! 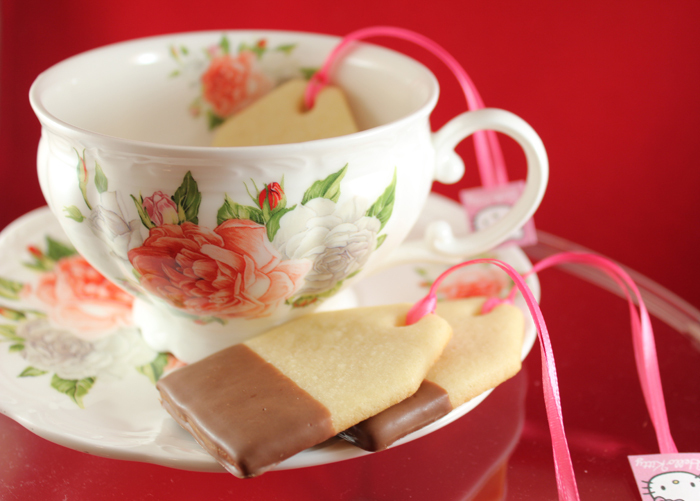 The toffee bits in the cookie give the cookie a yummy sweet crunch. It's a soft cookie, something he also loves. 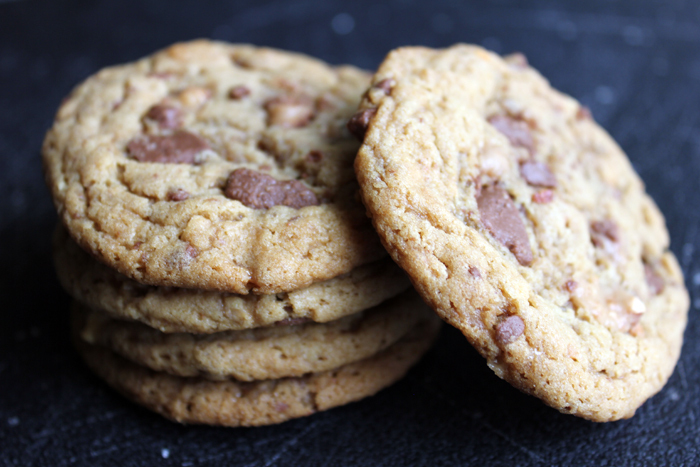 The only annoying thing about the cookies, is topping it with heath bits before baking it. I find that the bits melted between my fingers. A messy job, but totally worth it. 2. Beat shortening with peanut butter, brown sugar, milk and vanilla until blended. 3. Add egg, beat until blended. 4. Add flour, baking soda, and salt. Beat until blended. 5. Stir in 1 cup of the heath toffee bits. 6. Drop teaspoon full onto a baking sheet. Top with some more heath bits. 7. Bake 8 minutes. 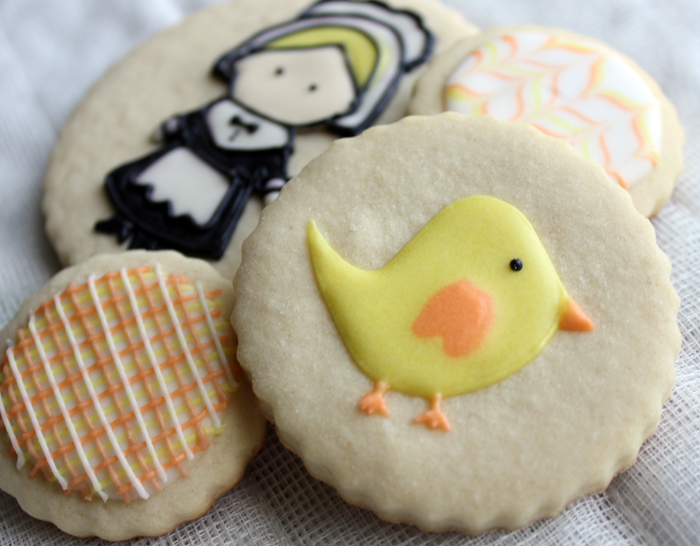 Do not over bake. 8. Cool on a rack. Makes 3 dozen cookies. So I bought a new toy for myself to play with in the kitchen last week. 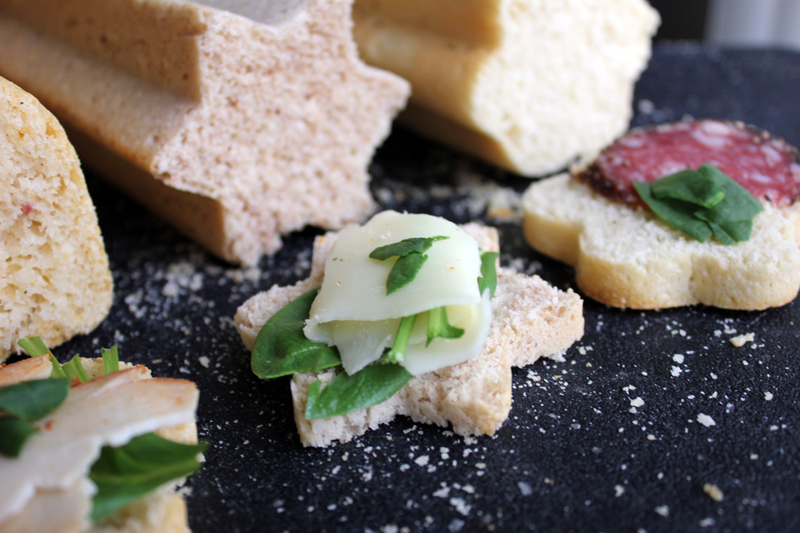 Behold, a canape bread mold. 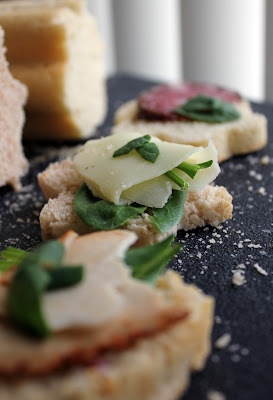 Canape basically means decorative, one-bite food, or hors d'oeuvres. 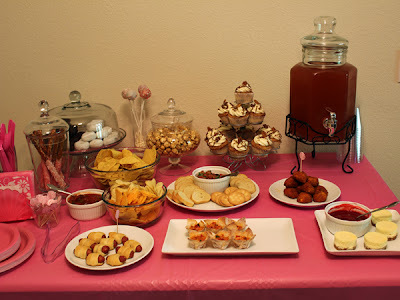 I like to make these finger foods for gatherings when friends come over. Instead of buying these small breads at the grocery store, I figured I would make them myself. It was extremely easy, and fun as well. 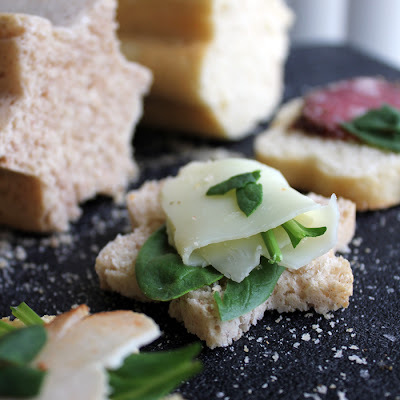 I started off by making the original canape bread recipe provided with the kit. I divided the dough up by 3, and flavored two of them to my liking. 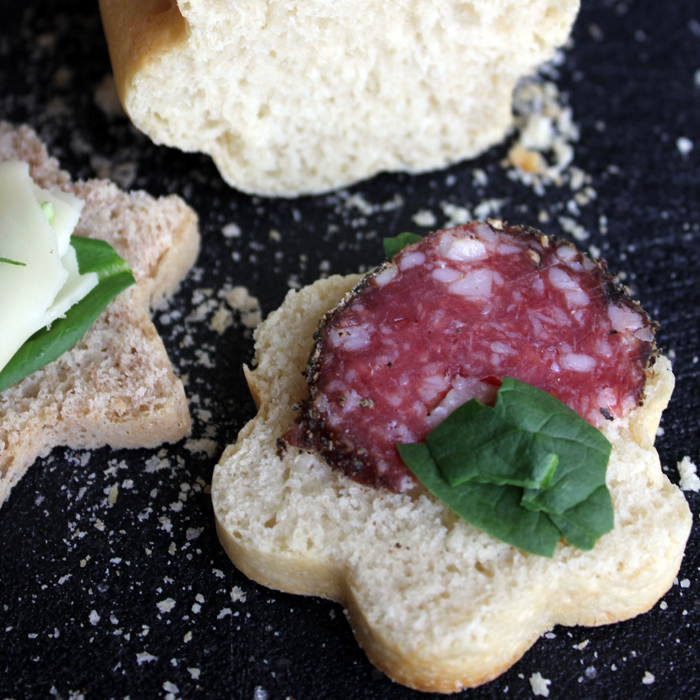 I made a dry pepper salami & cheese bread, a cinnamon sweet bread, and plain canape bread. The salami & cheese one was the best! The mold came in three shapes, a heart, start, and flower. Which will be great for holiday theme! 1. Stir together water, sugar and yeast in stand mixer bowl. Let foam for 10 minutes. 2. Warm milk with butter, add salt. Add to the yeast. 3. Knead on medium for 7 minutes, or until the dough pulls away from the side of bowl. 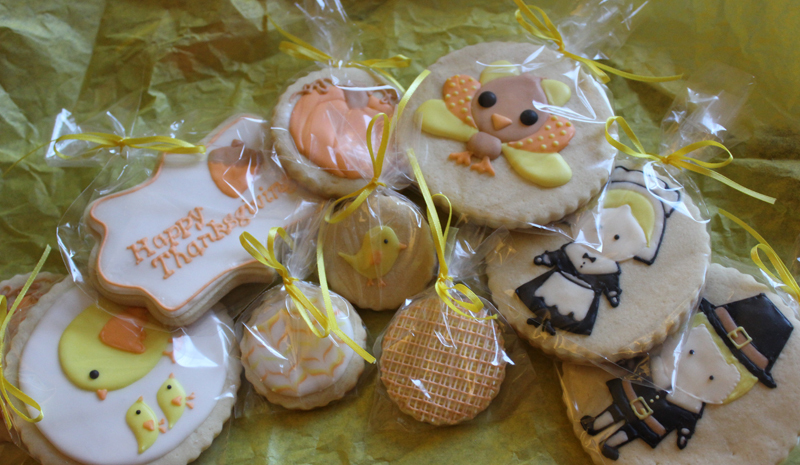 I used 3 1/2 cups of flour. 4. Put in an oiled bowl, let rise for 1 hr. 5. Punch down, divide into three pieces. 6. Flavor them or leave plain. I added 1 tps of cinnamon and 1 Tbs sugar to one piece, and 1/3 cup chopped salami and 1/2 cup cheddar cheese to the other. 7. 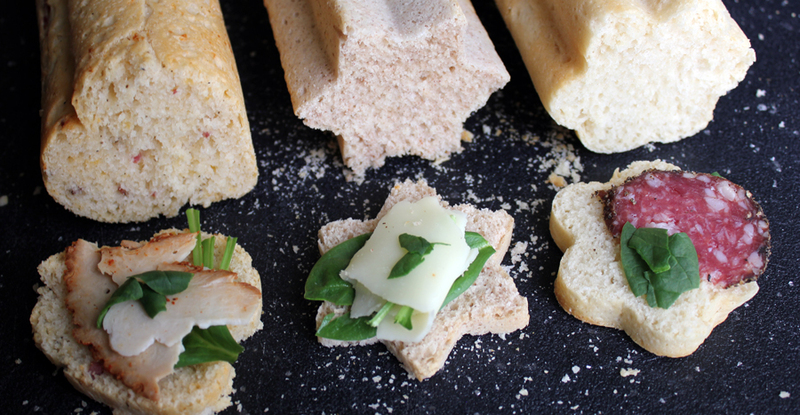 Shape into logs and place into greased canape bread mold. 8. Let rise for 45 mins. 9. Preheat oven to 375 F.
9. Put caps on, and bake for 30 to 35 minutes. 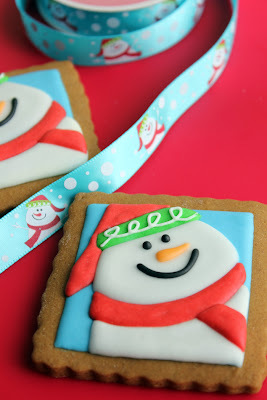 I was feeling creative this past week, and wanted to play with royal icing. 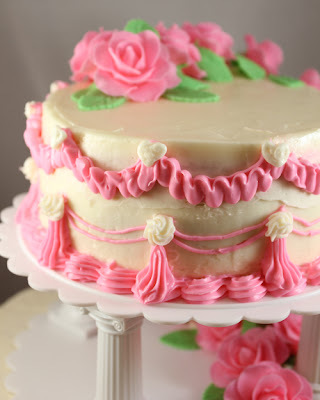 I wanted to practice my piping skills. I made these. Aren't they cute? They took a long time to make, since I am so bad at piping. I packaged the finished cookies up and sent them to my mother-in-law today. 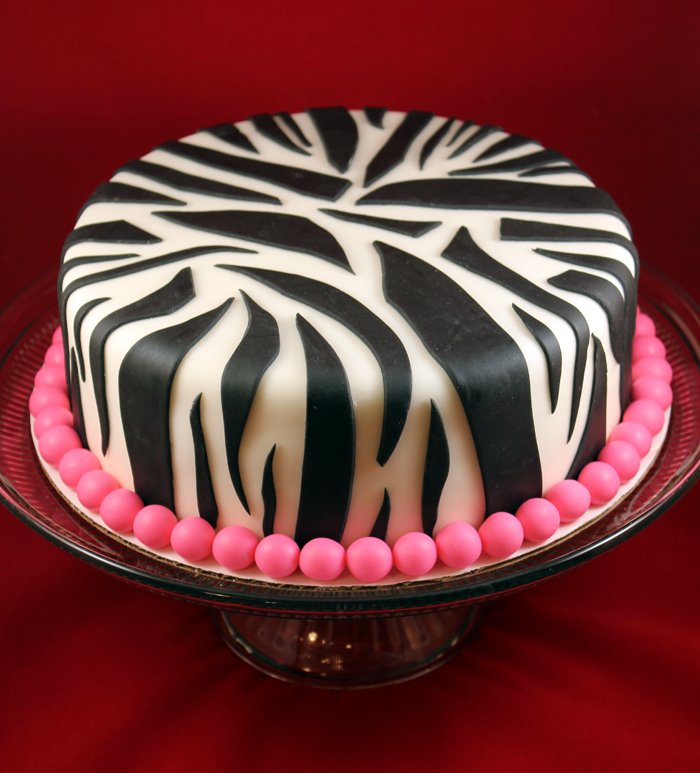 Tint with food colors or thin the icing with small amounts of warm water to reach the desired consistency. I hope you guys find the time and creativity to make them too! 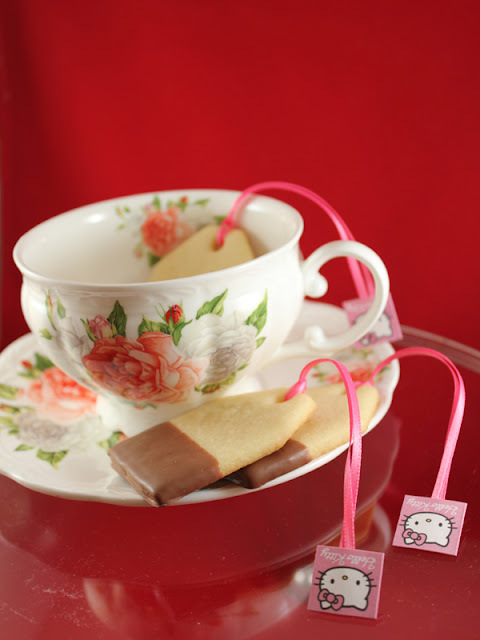 I love hello kitty, and I love tea parties. 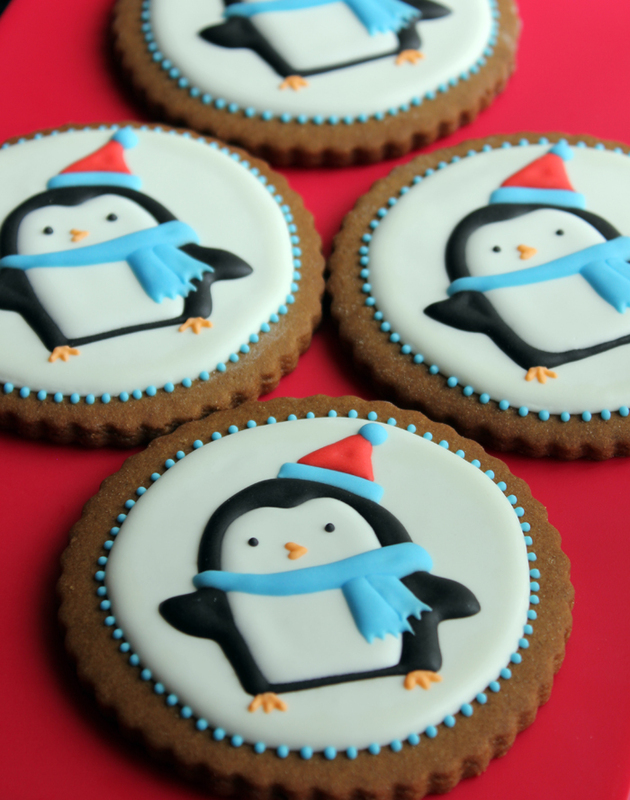 What better excuse to make and bake cute desserts? I started on the teabag cookies today, to make sure I had time for the other desserts to come this weekend. Aren't they just cute? 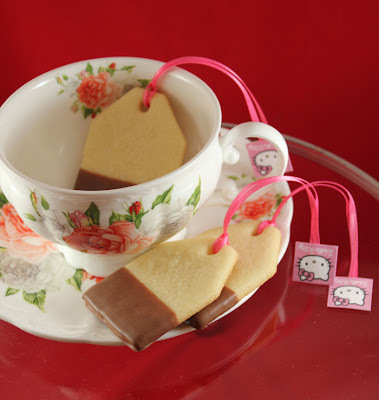 Then you will need to cut out a tea bag template out of parchment paper. 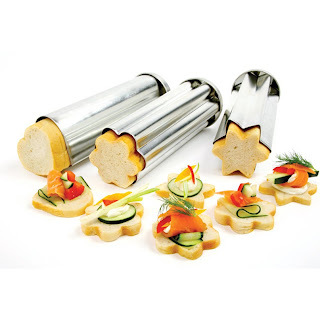 Manually cut out each cookie with a knife or bench scraper outlining the template over the rolled dough. I used a #10 round piping tip to cut a hole for the string in each cookie. Bake for 7-9 mins at 350. Once the cookies cool, dip 1/3 of the bottom on the cookie in chocolate. 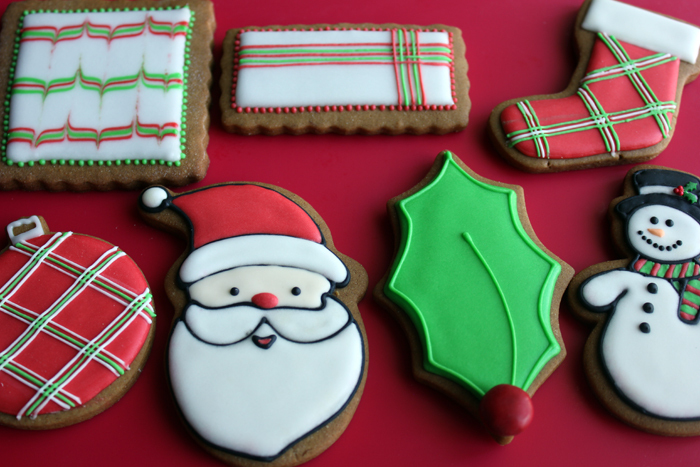 Allow to dry on parchment paper. 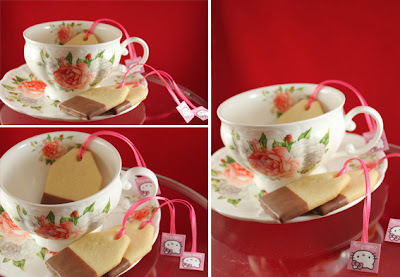 Make the cute tea bag strings, I used hello kitty, since it is a hello kitty tea party! I made mini fruit tarts before, but not this tiny. These can be eaten in one bite, a little bigger than the size of a quarter. I made 70+ tart shells from the dough, which is enough for a 9 inch tart shell. I made these mini fruit tarts for my fiance's co-workers. 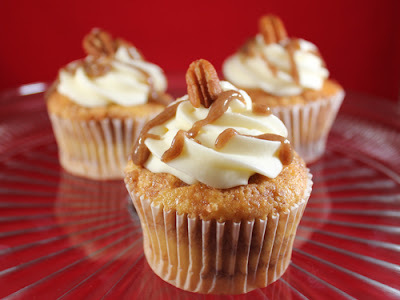 They were a complete hit! 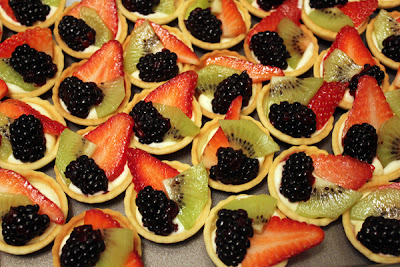 So the recipe for the original fruit tarts can be found here. Make the dough and pastry cream, then follow the directions below to make them extra miniature. 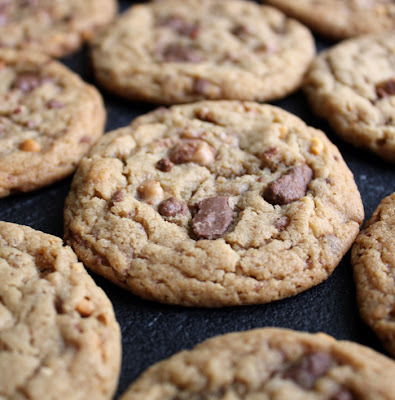 If you don't have a food processor, you can cut the butter into the flour using a pastry cutter. After chilling the dough for 2 hours, roll the dough out on lightly floured surface to 1/8 inch thick. Using rolling pin bands will help make the dough thickness even throughout. 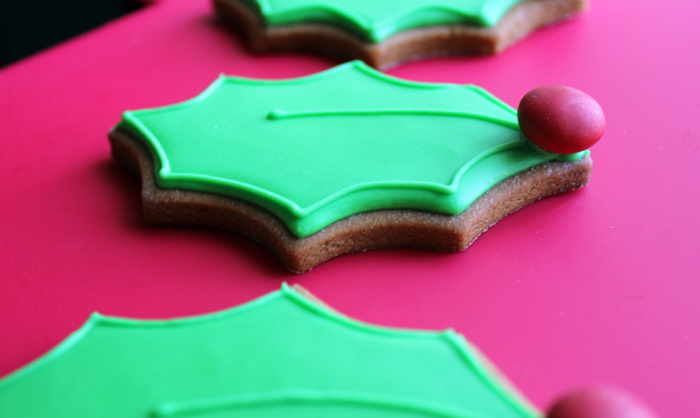 Use a 2 inch round cookie cutter with scalloped edges to cut out several small shell pieces. Flip a miniature muffin pan upside down. You will be using the back of the muffin pan to shape the shells. Place one shell piece on each muffin-hill. Try to center it in the middle. Bake for 5 - 7 minutes, or until light golden. Remove baked shells, and repeat with remaining dough. 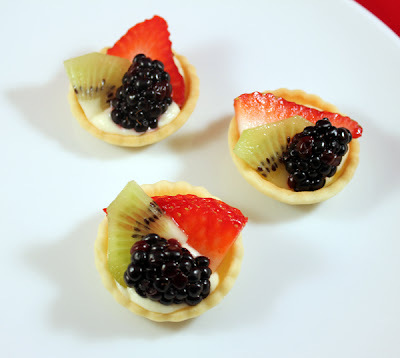 Proceed by filling each shell with a small amount of pastry cream and decorate with fruits. Enjoy! 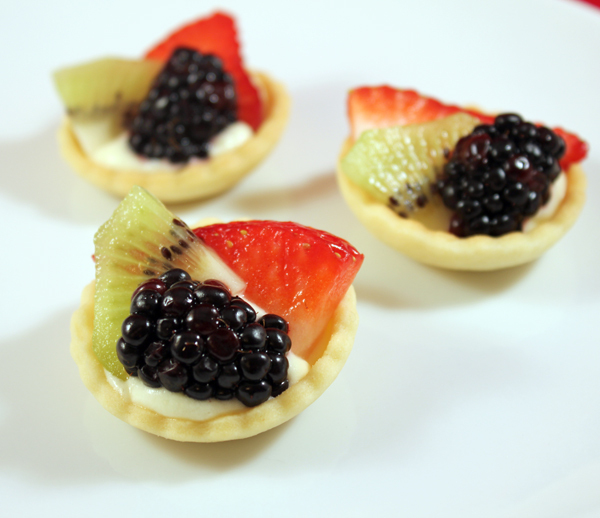 The recipe for the original fruit tarts can be found here. 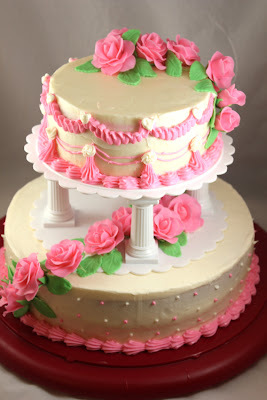 Tomorrow, March 28, marks my blog's first birthday. I baked a two tier cake for my blog! 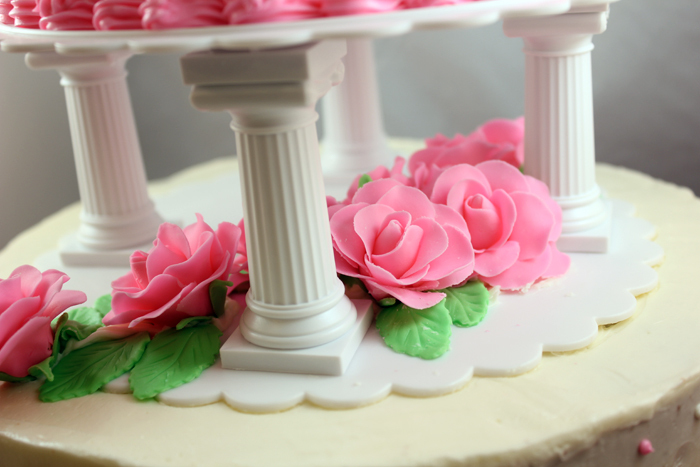 This is my first tiered cake with columns. I enjoyed making it! Of course making Cake Pops was definitely an honorable mention. I hope you guys enjoy my first year of recipes. 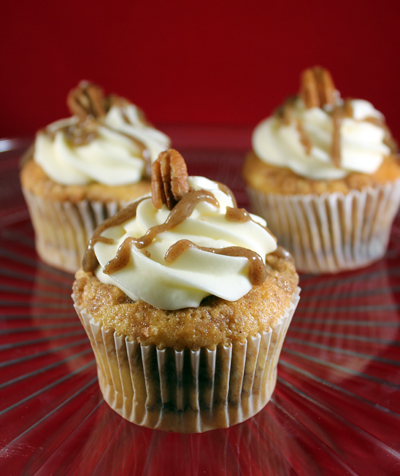 I'm excited to continue posting new ideas and recipes in the years to come. So, I wanted to make a cake with tons of layers. 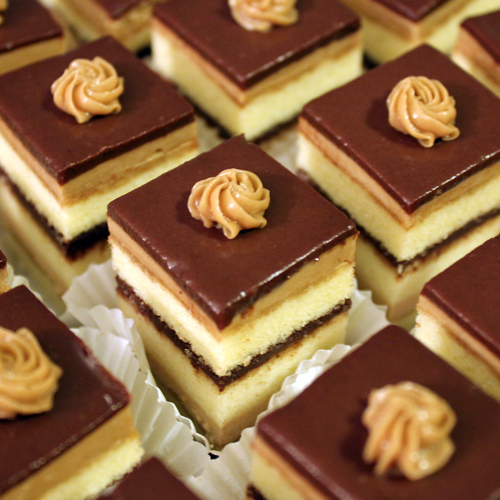 Then cut it up to petit four sizes for easy eating. I'm making these mini opera cake bites for my fiance's co-workers. It was the first cake I've made with this much layers. It was worth it, because the cake tasted super delicious. His co-workers were going crazy for these bite-size cakes. 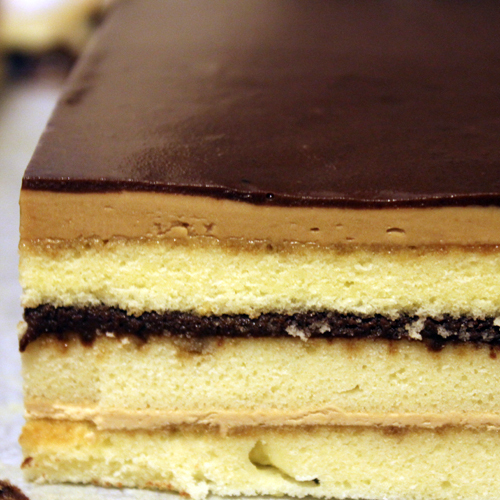 So an opera cake is basically a coffee and chocolate cake. The flavor combination is absolutely delicious. The layers of different colors make it so pretty to look at. The cake took a long time to make, but I think it's worth it! Give it a try. I basically followed Martha Steward's Opera Cake recipe, which can be found here. However, I didn't have any almond flour on me, so I made the cake layers with a pound cake instead. Preheat oven to 350 degrees F (177 degrees C) and place rack in center of oven. Butter or spray with a non stick vegetable spray, a large sheet pan with sides (Also known as a jelly roll pan). 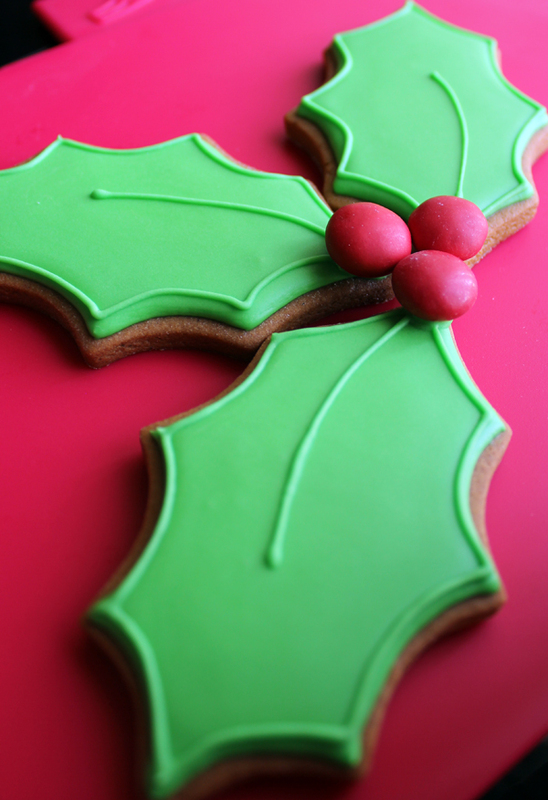 Line the bottom of the pan with parchment paper and butter or spray the paper. Scrape the batter into the prepared pan and smooth the top with an offset spatula or the back of a spoon. Bake for about 15 minutes or a toothpick comes out clean. 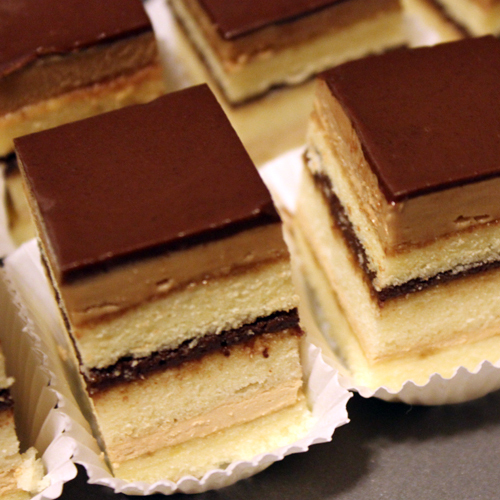 Look at all those beautiful layers. Cut the cake up to 1 inch squares.